Colmar (French: Colmar, [kɔlmaʁ]; Alsatian: Colmer [ˈkolməʁ]; German during 1871–1918 and 1940–1945: Kolmar) is the third-largest commune of the Alsace region in north-eastern France. It is the seat of the prefecture of the Haut-Rhin department and the arrondissement of Colmar-Ribeauvillé. 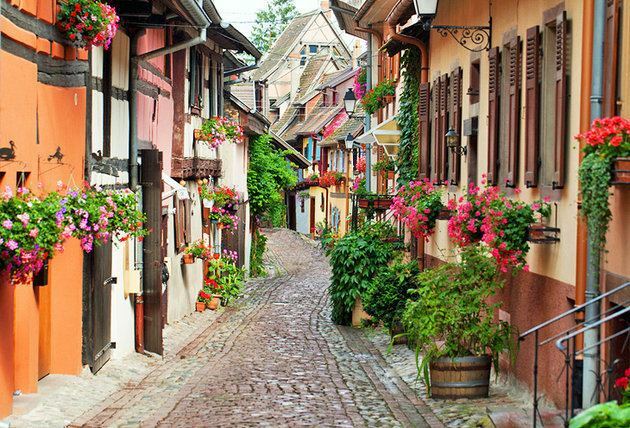 The town is situated on the Alsatian Wine Route and considers itself to be the "capital of Alsatian wine" (capitale des vins d'Alsace). The city is renowned for its well-preserved old town, its numerous architectural landmarks, and its museums, among which is the Unterlinden Museum, with the Isenheim Altarpiece. Colmar was founded in the 9th century and is mentioned as Columbarium Fiscum by the monk Notker Balbulus in a text dated 823. This was the location where the Carolingian Emperor Charles the Fat held a diet in 884. Colmar was granted the status of a free imperial city by Emperor Frederick II in 1226. In 1354 it joined the Décapole city league. In 1548 Josel of Rosheim urged the Reichskammergericht court to repeal the Colmar market ban on Jewish merchants. The city adopted the Protestant Reformation in 1575, long after the northern neighbours of Strasbourg and Sélestat. During the Thirty Years' War, it was taken by the Swedish army in 1632, which held it for two years. In 1635 the city's harvest was spoiled by Imperialist forces while the residents shot at them from the walls. The city was conquered by France under King Louis XIV in 1673 and officially ceded by the 1679 Treaties of Nijmegen. With the rest of Alsace, Colmar was annexed by the newly formed German Empire in 1871 as a result of the Franco-Prussian War and incorporated into the Alsace-Lorraine province. It returned to France after World War I according to the 1919 Treaty of Versailles, was annexed by Nazi Germany in 1940, and then reverted to French control after the battle of the "Colmar Pocket" in 1945. Colmar has been continuously governed by conservative parties since 1947, the Popular Republican Movement (1947–1977), the Union for French Democracy (1977–1995) and the Union for a Popular Movement (since 1995), and has had only three mayors during that time. 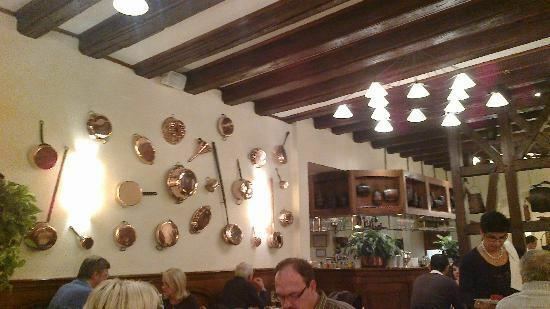 The Colmar Treasure, a hoard of precious objects hidden by Jews during the Black Death, was discovered here in 1863. Colmar is 64 kilometres (40 mi) south-southwest of Strasbourg, at 48.08°N, 7.36°E, on the Lauch River, a tributary of the Ill. It is located directly to the east of the Vosges Mountains and connected to the Rhine in the east by a canal. In 2013, the city had a population of 67,956, and the metropolitan area of Colmar had a population of 126,957 in 2009. Colmar is the center of the arrondissement of Colmar-Ribeauvillé, which had 199,182 inhabitants in 2013. 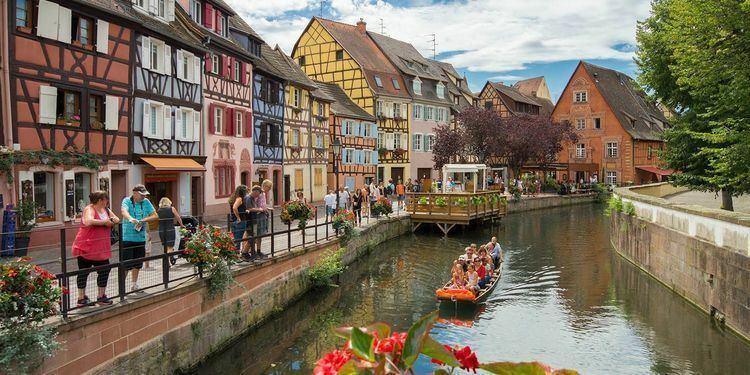 Colmar has a sunny microclimate and is one of the driest cities in France, with an annual precipitation of just 607 mm (23.9 in), making it ideal for Alsace wine. It is considered the capital of the Alsatian wine region. The dryness results from the town's location next to mountains, which force clouds arriving from the west to rise, and much of their moisture to condense and fall as precipitation over the higher ground, leaving the air warmed and dried by the time it reaches Colmar. Mostly spared from the destructions of the French Revolution and the wars of 1870–1871, 1914–1918 and 1939–1945, the cityscape of old-town Colmar is homogenous and renowned among tourists. An area that is crossed by canals of the river Lauch (which formerly served as the butcher's, tanner's and fishmonger's quarter) is now called "little Venice" (la Petite Venise). Colmar's secular and religious architectural landmarks reflect eight centuries of Germanic and French architecture and the adaptation of their respective stylistic language to the local customs and building materials (pink and yellow Vosges sandstone, timber framing). Maison Pfister – 1537 (German Renaissance). Colmar prison –- 1791, formerly a convent built in 1316. Marché couvert – 1865 (French Neo-Baroque). The city's covered market, built in stone, bricks and cast iron, still serves today. Water tower – 1886. Oldest still preserved water tower in Alsace. Out of use since 1984. Église Saint-Martin – 1234–1365. The largest church of Colmar and one of the largest in Haut-Rhin. Displays some early stained glass windows, several Gothic and Renaissance sculptures and altars, a grand Baroque organ case. The choir is surrounded by an ambulatory opening on a series of Gothic chapels, a unique feature in Alsatian churches. Église des Dominicains – 1289–1364. Now disaffected as a church, displays Martin Schongauer's masterwork La Vierge au buisson de roses as well as 14th century stained glass windows and baroque choir stalls. The adjacent convent buildings house a section of the municipal library. Église Saint-Matthieu – 13th century. Gothic and Renaissance stained glass windows and mural paintings, as well as a wooden and painted ceiling. Couvent des Antonins – 13th century. Disaffected church and convent buildings notable for a richly ornate cloister. Now housing the Unterlinden Museum (see below). Église Sainte-Catherine – 1371. Disaffected church and convent buildings now used as an assembly hall and festival venue (Salle des Catherinettes). Chapelle Saint-Pierre – 1742–1750. Classicist chapel of a former Jesuit college. Unterlinden Museum – one of the main museums in Alsace. Displays the Isenheim Altarpiece, a large collection of medieval, Renaissance and baroque Upper-Rhenish paintings and sculptures, archaeological artefacts, design and international modern art. Musée Bartholdi – the birthplace of Frédéric Auguste Bartholdi shows his life and work through paintings, drawings, family objects and furniture as well as numerous plaster, metal and stone sculptures. A section of the museum is further dedicated to the local Jewish community's heritage. Musée d'histoire naturelle et d'ethnographie – the zoological and ethnographic museum of Colmar was founded in 1859. Besides a large collection of stuffed animals and artefacts from former French and German colonies in Africa and Polynesia, it also houses a collection of ancient Egyptian items. Musée des usines municipales – industrial and technological museum in a former factory, dedicated to the history of everyday technology. The Municipal Library of Colmar (Bibliothèque municipale de Colmar) owns one of the richest collections of incunabula in France, with more than 2,300 volumes. This is quite an exceptional number for a city that is neither the main seat of a university, nor of a college, and has its explanation in the dissolution of local monasteries, abbeys and convents during the French Revolution and the subsequent gift of their collections to the town. The small regional Colmar Airport serves Colmar. The railway station Gare de Colmar offers connections to Strasbourg, Mulhouse, Besançon, Zürich and several regional destinations. Colmar was also once linked to Freiburg im Breisgau, in Germany and on the other side of the Rhine, by the Freiburg–Colmar international railway. However the railway bridge over the Rhine between Breisach and Neuf-Brisach was destroyed in 1945 and never replaced. Colmar shares the Université de Haute-Alsace (Upper Alsace University) with the neighbouring, larger city of Mulhouse. Of the approximately 8,000 students of the UHA, around 1,500 study at the Institut universitaire de technologie (IUT) Colmar, at the Colmar branch of the Faculté des Sciences et Techniques and at the Unité de Formation et de Recherche Pluridisciplinaire d'Enseignement Professionalisé Supérieur (UFR PEPS). The École Compleméntaire Pour L'Enseignement Japonaise a Colmar (コルマール補習授業校 Korumāru Hoshū Jugyō Kō), a part-time supplementary Japanese school, is held in Colmar. At one time classes were held at the Centre Cultural de Seijo. Since 1980, Colmar is home to an international summer festival of classical music Festival de Colmar (also known as Festival international de musique classique de Colmar). In its first version (1980 to 1989), it was placed under the artistic direction of the German conductor Karl Münchinger. Since 1989, it is helmed by the Russian violinist and conductor Vladimir Spivakov. 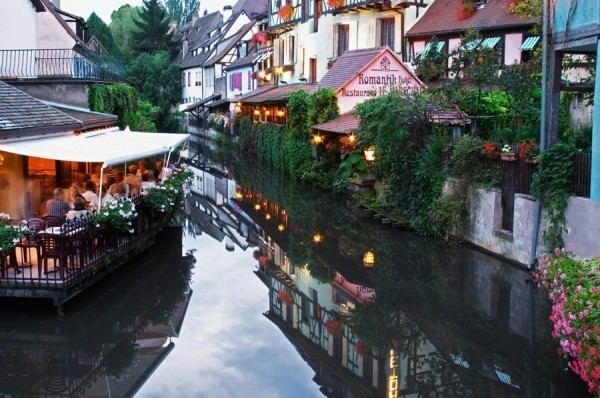 Colmar is an affluent city whose primary economic strength lies in the flourishing tourist industry. But it is also the seat of several large companies: Timken (European seat), Liebherr (French seat), Leitz (French seat), Capsugel France (A division of Pfizer). Every year since 1947, Colmar is host to what is now considered as the biggest annual commercial event as well as the largest festival in Alsace, the Foire aux vins d'Alsace (Alsacian wine fair). When Air Alsace existed, its head office was on the grounds of Colmar Airport. By 1991 Lycée Seijo, a Japanese boarding high school in Kientzheim, had established a Japanese cultural center. It housed books and printed materials in Japan and hosted lectures and film screenings. Bernard Schmitt (economist) (1929-2014), economist and founder of the "Quantum Economics"
Bukit Tinggi Resort Colmartropicale Bentong is copy of Colmar historical city in Malaysia, an hour or 60 km north-east of Kuala Lumpur, 3.400787°N 101.839157°E﻿ / 3.400787; 101.839157. North of it, a rebuild of Château du Haut-Kœnigsbourg is in the Berjaya Hills, hosting an organic resort hotel., 3.404167°N 101.839155°E﻿ / 3.404167; 101.839155. Colmar's cityscape (and neighbouring Riquewihr's) served for the design of the Japanese animated film Howl's Moving Castle. Scenes in the anime Is the Order a Rabbit? are also based on this location.